Today is a very important day I believe in our world as it is today. It can be such a scary world to send our children off to school. Bullying has become such an issue especially with social media so prevalent now. 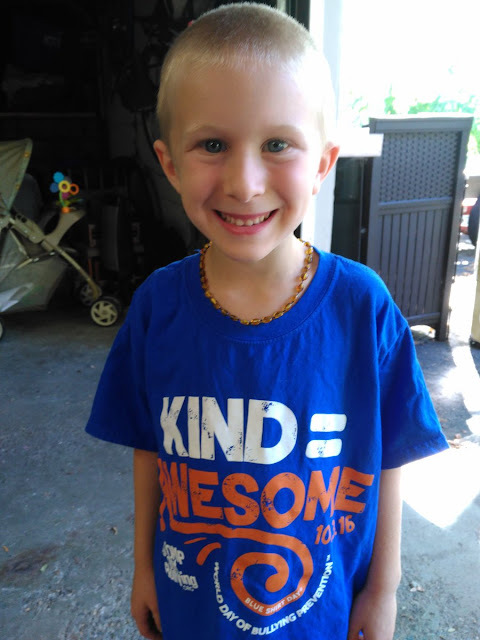 My son has already experience bullying in his school and he is only a 1st grader! And there are definitely adults that are still bullies as well! And today we want to be a part of the solution! 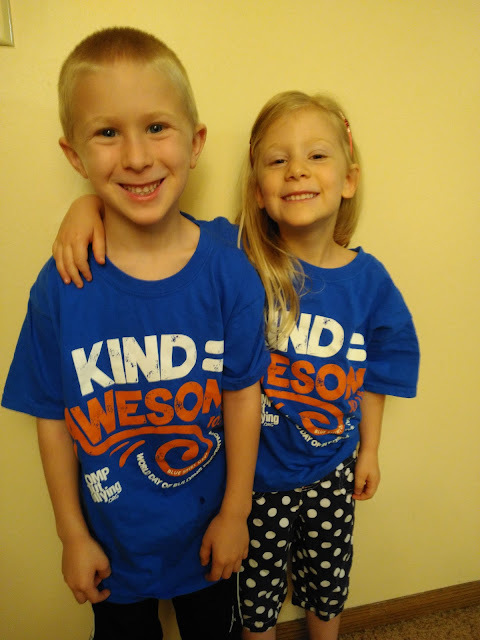 October is National Bullying Prevention Month and TODAY October 3rd is Blue Shirt Day® World Day Of Bullying Prevention! I don't want to be afraid to send my children to school or worry if they are being bullied! Let's be a part of the solution by spreading awareness of bullying and work together to eliminate it! This year, my family is Standing Up and making a difference by raising awareness about bullying prevention! 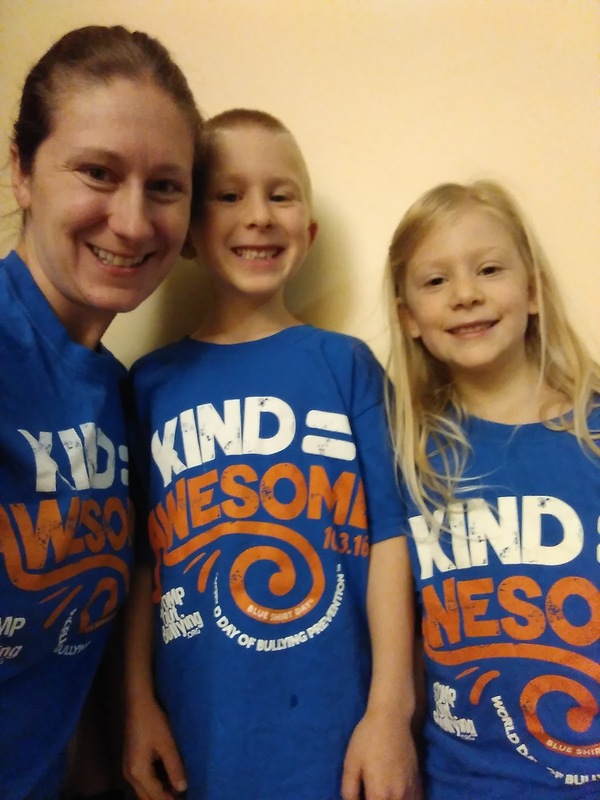 My children and I are wearing our Blue Shirts all day to remind others to be kind and STOMP OUT Bullying! From little on, I have taught my children that all people are different but also special in our own ways. I want my children to appreciate the difference we all have from each other instead of seeing it as something to make fun of or bully about. Below I have included some tips about recognizing the signs of bullying with your child. These are from http://www.stompoutbullying.org/ which have many other awesome tip sheets! We are all different, but if we all Stand Up as 1, no one Stands alone! 1 by 1 we can change the world, it's up to us! So let’s join together today and EVERYDAY to put an end to bullying, cyberbullying, other digital abuse, hatred, racism and homophobia and STOMP Out Bullying everywhere! In schools, communities, at work, & on social media pages! 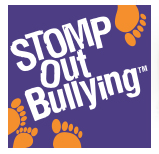 Today, wear a BLUE Shirt to raise awareness & put an end to bullying & STOMP Out Bullying everywhere! GO BLUE today and make it the day bullying prevention is heard around the world.